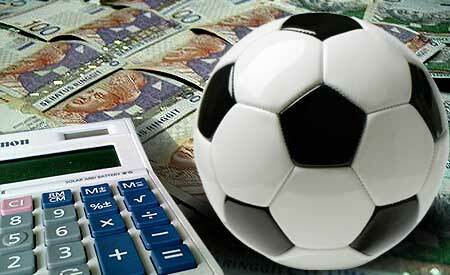 One of the best and most fun ways to gamble on the Internet is through online football betting. It is a great way to add excitement to your regular soccer viewing as a fan and an excellent way to begin to learn about the game if you are not a fan quite yet. That’s because to get good at online football betting you need to learn as much as you can about soccer, or, as it is known everywhere except for the United States of America, football. When you really learn the rules of the game, the tendencies of the teams and coaches and you learn how to gather serious information about injuries and the personal lives of players, you can get quite good at online football betting. Why would knowing about the social lives of the players be important? Well, if you had a handle on which players from which teams liked to go clubbing the night before the game, that would affect how much you bet on the teams the next game they play on a Sunday morning in a big international city. Hungover football/soccer players do not cover the spread. Beyond reading the gossip columns and the trashy websites, you want to get a handle on advanced stats. Many old-time gamblers like to rely on the eye test in order to place bets. But these days, successful online football bettors understand the underlying trends that drive actual results. For example, you want to understand total shots ratio. That is the percentage of shots taken by a team in a game. If a team’s TSR is 75% or higher, that means there is a very good chance that the team has a winning record. Expected goals has a very complicated calculation behind it, but it can be a telling statistic to understand who the best goal scorers and creators actually are. Creators are very important too. It is not only the goal scorers that need to be watched closely. The forwards that consistently make key passes are essential to a team’s offense. A key pass is any pass that leads to a goal. The frequency and efficacy of key passes if very important to understand if you want to be excellent at online football betting. So it is going to take a lot of study and spreadsheets to become good at online football betting. But the fun and profits to be had will make it all worth it. Happy betting!